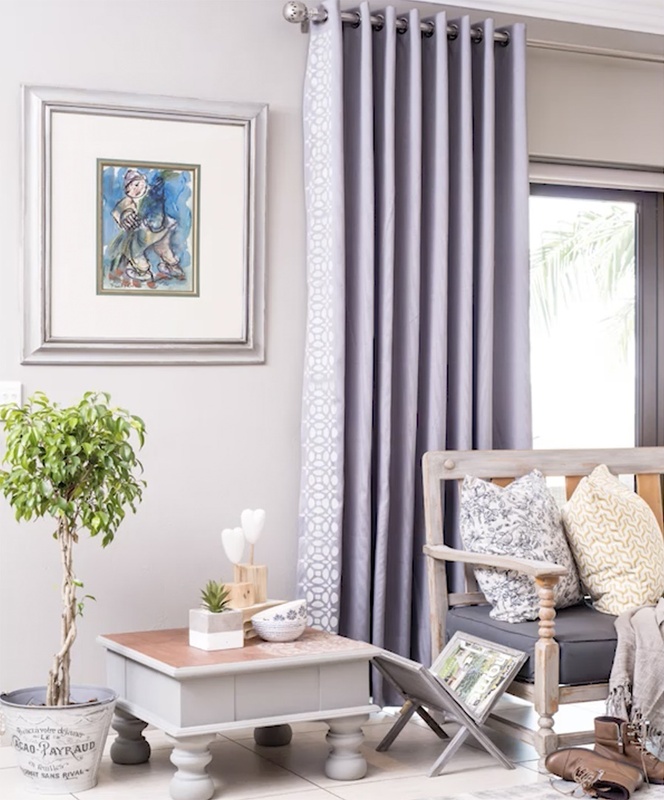 Add the final flourish to your window dressing with Tjhoko Paint and an eye-catching stencil. Natural fabrics such as cotton, cheesecloth and other woven materials are ideal for stencilling. 1. Place the curtain on a flat work surface and position the stencil with masking tape. The tape serves a dual purpose: it secures the stencil in position and ensures that you don’t paint over the edge onto areas of the fabric you want to keep paint-free. 2. Use very little paint on your stencil brush, making sure it is evenly distributed on the bristles. It is better to use the paint sparingly, otherwise it will seep underneath the stencil. It will be extremely difficult to rectify this mistake later as you are working with fabric and not a surface like wood which can be repainted. 3. Move your brush in circular movements while adding pressure to both the stencil and fabric with your free hand to prevent them from shifting. 4. Gently remove the stencil once the pattern is complete. Using a clean cloth, dab any areas where there might be too much paint. Repeat the process until the entire surface has been covered. As a precaution, wait 5–6 hours then iron the back of the curtain to set the painted stencil onto the fabric. If it is an item that needs to be rinsed, wait 48 hours before hand-washing it in cold water. Keen to try Tjhoko Paint? Find your nearest stockist at tjhokopaint.co.za.